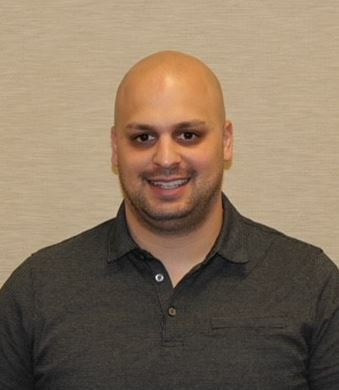 This month, Sax LLP would like to shine our Employee Spotlight on Louis Calamunci, a Senior Tax Associate who joined our team in October 2018. After graduating high school, Louis went to culinary school but quickly had a change of heart and decided to explore a different field. At 22 years old, Louis was accepted to Kean University where he received his Bachelor’s Degree in Accounting. Louis instantly impressed his co-workers and the firm in his short time here with his strong work ethic and commitment to a job well done. Louis stays busy and focused at work, but on his days off he dedicates most of his time and energy to studying for the CPA exam. Receiving his CPA License is one of his primary goals and he is eager to advance his career at Sax. I went to Kean University where I received my Bachelor’s Degree in Accounting. However, I originally went to culinary school to become a professional chef. Although I do love to cook, I quickly changed my mind after realizing I did not want to do it as a career and as crazy as it sounds, accounting is much more enjoyable for me on a day-to-day basis, and I’m glad I made that decision. I’m currently studying to receive my CPA License. I’ve been dedicating a lot of time to studying and prepping for the exams, and I recently passed one part which was very exciting, but I have a long way to go. I’m hoping to pass all four parts of the exam by the end of this year. My advice to anyone studying for their CPA is to really dedicate yourself to your studies and to remain focused on the end goal. When did you start working at Sax? I started working at Sax in October 2018. I am a Senior Tax Associate. What are your day-to-day responsibilities at Sax? What do you specialize in? I’m a general tax associate, so I do not specialize in any specific niche, but I get my hands in all the industries we work for, depending on who needs my help. Generally, my day-to-day responsibilities include preparing tax returns that I get assigned to. Most of the returns I receive are more complex and can take between 10-25 hours to finish, so I can be working on a single return for a couple of days. Explain some of your biggest achievements in life. So far, my biggest achievement was graduating college and obtaining my degree. Although that was a huge accomplishment for me, I know there is many more goals I will accomplish in the future, such as obtaining my CPA and advancing in my career. Do you have a vision or goal for your career? My number one priority is to pass all four parts of the CPA exam. My long-term goal is to learn as much as I can, move up the ladder, and advance in my career here at Sax. Are there any other interesting facts about you outside of your work life? I just adopted a Mini Golden Doodle from Idaho and named him Tater, which I found relevant considering he is from the potato state. When I’m not working or taking care of my dog, I enjoy cooking and hanging out with my family and friends. Please join us in shining our monthly Sax Spotlight on Manufacturing and Distribution Partner, Bob Hopper, who has been with the firm for almost 40 years. Bob was the Partner-in-Charge of the firm’s M&D niche for 25 years and continues to advise clients on growing their businesses and increase efficiencies. As a member of Sax’s Executive Committee, Bob is responsible for the upwards direction of the firm and enforcing our high standards for client service. Bob demonstrates hard work and dedication to his clients and his responsibilities. He has watched Sax grow from the ground up and is proud to have been part of the process. 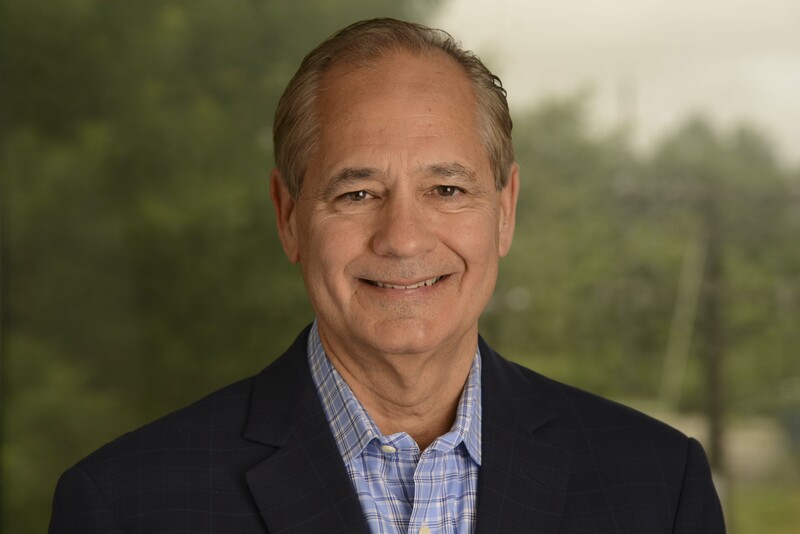 During his time as M&D niche leader, Bob was instrumental in growing the group, and today it is the largest niche in the firm from a revenue standpoint. He credits Sax for teaching him the importance of being his clients #1 advisor and works to transfer that knowledge to the next generation of firm leaders. I attended Rutgers University in Newark and received my Bachelor’s Degree in Accounting. I actually started out as a Mathematics major, but it did not take me long to switch to Accounting, which was a much better fit for me. After college, I began studying for the CPA exam and eventually received my license, which is a crucial component of any accountant’s career. I started working at Sax in June of 1981. Back then, there were only about 25 employees at the firm, consisting of about 8 Partners and the rest were Associates. It’s been great to see the firm grow so much from my first year here. For the past 25 years, I was the Partner-in-Charge of the Manufacturing and Distribution niche. This past year, I stepped down as niche leader, but I still serve a Partner in the niche group. As a Partner, it’s my job to make sure we are adding value to our client relationships and developing the next generation of advisors. My day-to-day responsibilities revolve around servicing clients and giving them the best we have to offer. I also serve as a member of Sax’s Executive Committee, which handles corporate governance, Partner matters and strategy for the firm. What are a few things you have learned here? As an Accounting major in college, after graduating I assumed I was going to be working with numbers for the rest of my life, but Sax quickly taught me that being an Accountant goes far beyond the numbers. Some of the most important lessons I have learned throughout my career are how to form long-lasting relationships with clients, how to be able to think quickly on my feet to make the right decisions for the team, and how to be prepared for situations that are unexpected but need to be handled. Explain some of your biggest achievements in your career. My biggest achievement in my career is when I became a Partner at Sax. I was one of four people who were promoted to Partner at the same time, which was a big deal because we were so small at the time. That was a clear indication that the firm was growing, and I was excited to be a part of the milestone. I am proud of myself for being able to have a successful career and be a hands-on father at the same time. Balancing work and personal life is not easy, but I was able to find a way to run a business and raise three children. My overall goal is to finish my time at Sax on a positive note, knowing I have serviced my clients and the firm as best as I could. When the day comes for retirement, I would like to spend as much time as I can with my family and I would love to become a vintage car enthusiast and eventually buy one for myself. Do you frequently speak at events or publish articles to demonstrate expertise? I have written articles for NJBIA, CIANJ and NJCPA on various topics, and I speak at our annual M&D Industry Update panel event every year. During the summer, I enjoy going down to our family shore house in Long Beach Island. I try to spend as much time with my family as I can on my days off, and going to our beach house is a great way to relax and enjoy each other’s company. I also enjoy playing golf with my friends and traveling with my wife.